For you this is experience of the creative energies of the universe !!! Therefore there is a lot more to Runes than giving readings and "Rune Stones"! without prior permission in writing by the author. For the beginning student of Runes, the last three Runes are likely to be the most difficult ones to understand. Not only does the language of the stanzas seem incomprehensible, but also work with the Runes, once some of their general meanings have been accepted. To understand the meaning of YR, one has to come to a full understanding of the Rune MAN. Neither YR nor MAN can fully stand by themselves. If they stood by themselves a great portion of their power would be lost. True, for the person who is biased toward the more "spiritual" nature of man, too often to the extent of totally looking down on consciousness-matter, or the fourth element, MAN comes easier, yet this is NOT the full scope on MAN. YR appears as the reversion of MAN, in its graphic representation as well as in the body position. 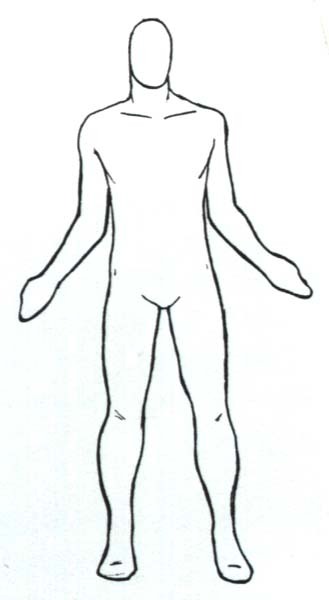 If you look at the body positions, you will notice that the left hand draws energy from the universe and the right hand directs it back to the universe. In cases of MAN, you draw "from above" and project back to "above." In the case of YR, draw and projection go "below." The symbolism is clear. While MAN refers to that which we call "spiritual," YR refers to consciousness-matter. Not the dense matter of the material level, but matter on all levels, astral, mental, and spiritual included. It is exactly a one-sided perception of matter, which made it so difficult for many Rune Masters in the past to truly comprehend the meanings of YR, which represents the roots of the world tree, Yggdrasil, while MAN represents the crown of the tree. YR also relates to the three Norns, goddesses who spin the threads of destiny (of consciously perceived destiny): Urda, the ever present, Verdandi, the ever becoming, and Skuld, karmic debt, or structure. YR, in the meaning of many Rune Masters, represents the illusion of matter. Again, here we deal with a bias that considers matter to be evil and women as evil. It's not matter per se that is to be considered an illusion, but human thinking which says all too often that our perception and labeling of our perception are the things that they describe. Such thinking limits the scope of our dealing with our environment and ultimately rigidifies us in that illusion. YR can be considered a Rune of mappings, or of theories which we make of our worlds. If we think that the theory is reality, then we have succumbed to illusion. If we take the theory as a tool, then we are flexible enough to change mappings whenever needed. Ultimately, it does not matter whether a theory is true or false (true or false according to what??? another theory??? biased opinions that have a history of opposing useful innovations??? ), but whether it is useful. We have to keep in mind that the world that we perceive is result of processes of abstraction. Further abstracting leads to theories of some sort. The factual basis, which consists of things perceived, therefore has only limited validity. So do facts resulting from inferences. In their interactions with their environment, humans developed theories, based on some structural "metaphysics" of their thinking, regardless whether they deal with facts of a spiritual nature, or with "objective" scientific thought (or bias of academia). Objectivity appears as an illusionary subjectivity of a larger body of human beings, of masses, of a scientific body, of some religious group, etc. It changes continuously, as history proves will. Interesting enough, regardless of this continuous shift, many persons involved in seeking "truth," scientific, religious, or otherwise, think that what they have found NOW, or what was revealed or channeled to them LATELY, is the ultimate truth. All they need to do is look backwards in history in order to understand the continuous pattern of emergence of such illusion throughout history and the ultimate futility of such assumption. There is no factual basis known to me, from which you could not derive infinite many theories, or mappings, of the specific world (or set of phenomena) which make up this factual basis. Every lawyer could tell you that: You have a group of facts, you have hundreds of interpretations of those facts available, and what the lawyer tries to do is to convince judge and jury that his or here specific interpretation is the only true one. Most scientists try to do the same, but many of them are not aware, or refuse to be aware, that there are many more theories than the one they cherish. Most religious leaders are still very shortsighted in this respect -- usually because of vested interests! YR teaches you to create new and useful mappings according to your needs. YR does not condemns the material side, but it is fully aware of the importance of that which becomes conscious to us, and it is ready to enjoy the gifts of consciousness-matter, and to fulfill our wishes. Many Rune students of the past stumbled over the typically male-chauvinist content of the last stanzas of the magical poem, not realizing the deeper meaning in it. Their male chauvinism paralleled their denial of that which is "dirty matter," not realizing that this was a denial ultimately of that which is consciously perceived. The last three Runes are a special threshold to an initiation process which requires a tuning into what matter really means to us. The stanzas can bring a contact with those ideas on a subtle, subconscious level. Rune Masters who know history have not so much been caught by the entrapment of the the last three stanzas. They knew that the time when the present Runic lore was created was much less patriarchalistic than what the stanzas indicate. In fact, there have been just as many female shamans as there were male ones. Realizing that discrepancy, they immediately looked for the more hidden meanings in the stanzas, realizing that if this important step of balancing was not made, the resulting imbalance would jeopardize the path of the aspiring Rune Master. Being the Rune of conscious perception, of the Norns, it is natural to tune more into the concept of shape vibrations. When we use this term, we are naturally thinking of the shapes that are the geometric outline of the Runes. Next, the body positions. What other shapes? Mantras are shapes, too, so are sounds, or plain colors or combination of colors, feelings in the body, taste, smells, etc. The Rune Master is increasingly capable to correlate all those shapes, in order to be capable of effectively working with Runic energies, to differentiate between Runes and various shades of Runes, and to apply them in the most effective way possible. What we do here is to give you some ideas of how to practice shape vibrations in order to get the right feeling, or visions, of Runes, and how to project your desires or wishes whenever you practice shape vibrations. The following gives important hints. You will combine more and more as you progress. 1. The Rune MAN: Stand in the position of MAN, be conscious of the Runic streams entering your body through your left hand and leaving the body through the right hand. 2. The Rune YR: Stand in position of YR, do the same. In both cases, wait for specific visions, feelings, etc., write them in your magical diary. 3. (Works best in a group of Rune students) Sit down and establish the inner and outer Rune Realms. Next, chant mantras of the Runes continuously for at least five minutes. Ideally more. From time to time, while chanting, stand up, get into the body position of the Rune, and keep chanting. Compare with other participants and share experiences. 3a. 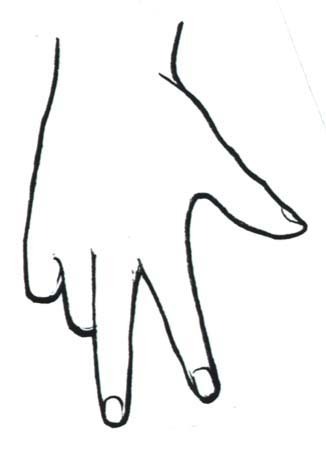 As a variation, while chanting (for at least 5 minutes), consciously draw the energies of the Rune chanted: hand position of the Rune and draw Rune energies through the hand(s). With other hand (if free), ideally with a power rod or in your imagination, project the Runic energy in the middle of your circle. If you practice by yourself, in the middle of the Rune circle which you laid out on the altar. While chanting, become ONE not only with the Rune, but with the shape vibrations of the sound. 4. Extend the chanting, ideally with a group, up to 15 minutes. Include your special wish in the chant. Expect the Runes to set in motion whatever is needed to achieve your goal(s). 5. Set up a ceremonial (as described in the preceding letter), and have a chant of 15 to 20 minutes precede the meditation part. 6. Practice deviations of the Rune mantras (see letter of IS). 7. Practice Rune body positions while lying on the floor. Include chanting. Include your wish. 1. Copy the Song of YR in your book of ceremonials. 2. Murmur the Song of YR regularly, once everyday or once every other day. 3. Practice as described above, at least three Runes of your choice.